High-performance 132 cm (52″) Combi deck. 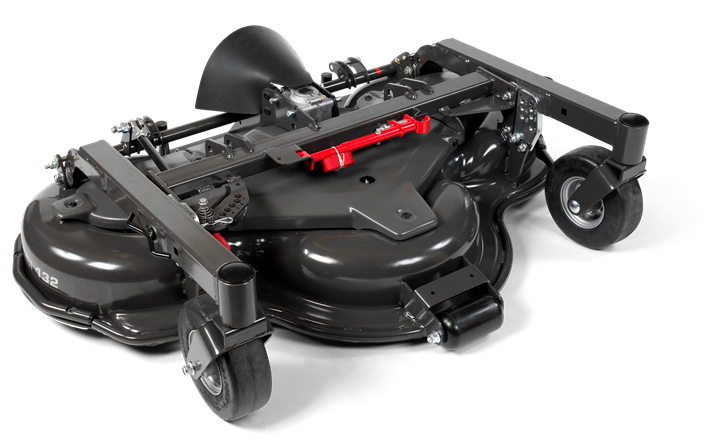 An innovative technical solution from Husqvarna results in a combination deck with the cutting methods mulching and rear discharge included in one and same deck. Heavy-duty deck design consist of 1-piece stamped steel plate dimension 4,5 mm (7-gauge). Shaft driven with bevelgear. Fits P 520D/P 525D model year 2012 and onwards. Flexible folding plough in heavy-duty performance. Hydraulic adjustment of the blades makes it usable as a V-plough, point plough or diagonal plough. High tensile steel plough wear. Requires hydraulic kit 966 75 45-01 and must be used with counterweight 966 75 49-01.